Deep in Padley Wood and thew light plays upon the fallen autumn leaves. 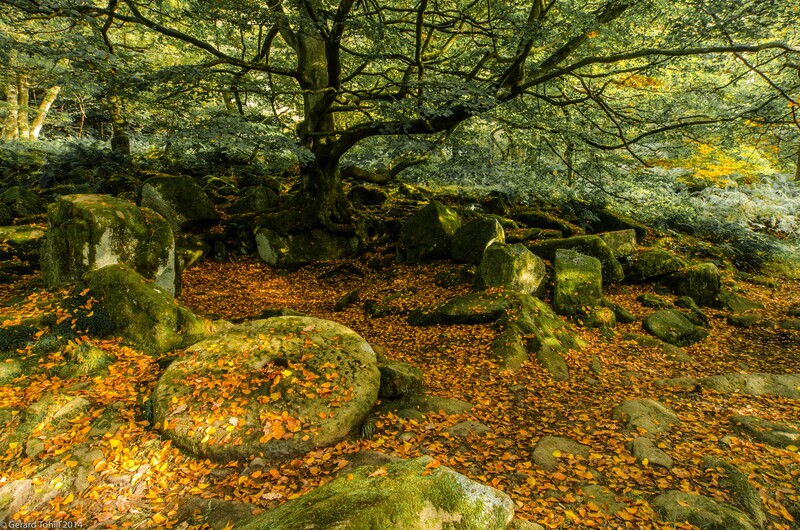 Padley Gorge is a great place for a walk, with numerous photo opportunities – if you’re in the area, take a walk down the gorge. Amazing shot! Love the colors! Thank you very much! You get great colours in autumn – really helps to make an image.